GET IT FREE! The life-changing message of the Messiah for today, with insightful views associated with Israel. Every year during the festival of Hanukkah, the Jewish people celebrate the story of our liberation from the wicked Seleucid king Antiochus Epiphanes. Boaz introduces readers to the festival. Learn about new resources and highlights. Do you have a mental picture of what it will be like when the Messiah returns to the earth for his second coming? Do you picture him riding on a white horse through the clouds? Read this synopsis from episode 7 of the FFOZ TV show, A Promise of What is to Come. A story about the "end of the law." Most readers of the Gospels are familiar with the story of the woman caught in adultery and how Yeshua exonerated her. A closer look at the story reveals that it does not imply the grace-versus-law agenda that interpreters so often see in it. Read the story in its historical context. Not all the Gentiles of Caesarea despised their Jewish neighbors. Learn what the Scriptures record about Cornelius, a Gentile, a centurion, and how he was attracted to the God of Israel and became a quintessential God-fearer. Hanukkah is a time for us to consider the mighty works of God on behalf of the Jewish people and to become inspired to grow in our reverence of his miracles in our own lives. It is a time for us to think about what it means to be a light in the face of darkness, how important it is to have “oil” in our spiritual lamps, and what it means to be dedicated to a life of godliness and personal growth. Why would anyone celebrate Hanukkah. Here are five reasons why this festival is not only relevant to Jews, but to all believers. A personal essay from K.J. Kruger on her understanding and experiences about Hanukkah. After Yeshua described the Temple’s destruction and the end of the age, he made a cryptic comment. There is more to this comment than most people understand. Part 2 — England, 1947, and the rise of anti-semitism. Read the second part in this series from Pauline Rose's eyewitness account of events in Jerusalem during 1948. Pauline's first-hand accounts, her eyewitness testimony, diary notes, and letters of correspondence written in Jerusalem between 1946 and 1949 have been published in her book Siege of Jerusalem, which we now proudly present here. A short review of the book, Light (Rededication, Miracles, Enlightenment, Celebration), all about Hanukkah. Is it really one or the other? Outside of seminaries and other high-level academic settings, the contrast between law and grace is usually portrayed very simply: law old, grace new; law bad, grace good. In this section of New Testament Backgrounds, Jacob Fronczak challenges this simplistic approach. Kids, have fun while you discover treasures from the Bible in stories, solving mysteries and playing word games! Answering your everyday Messianic questions. 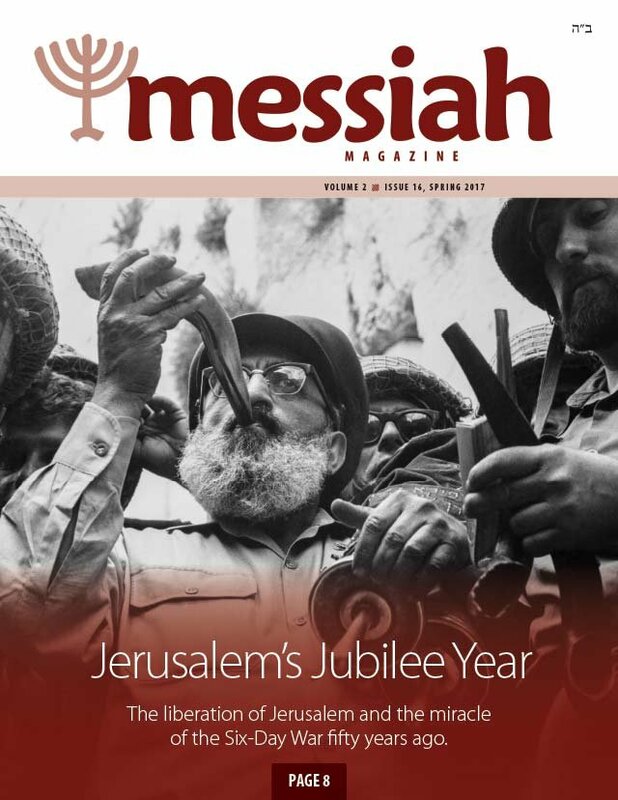 In this issue we answer a question about the Shmitah year in the land of Israel. You must have read about it somewhere in the Bible—and yes, it's still honored in Israel. Each digital edition can be read online in a Flipbook format on any device, and includes a separate downloadable PDF document. 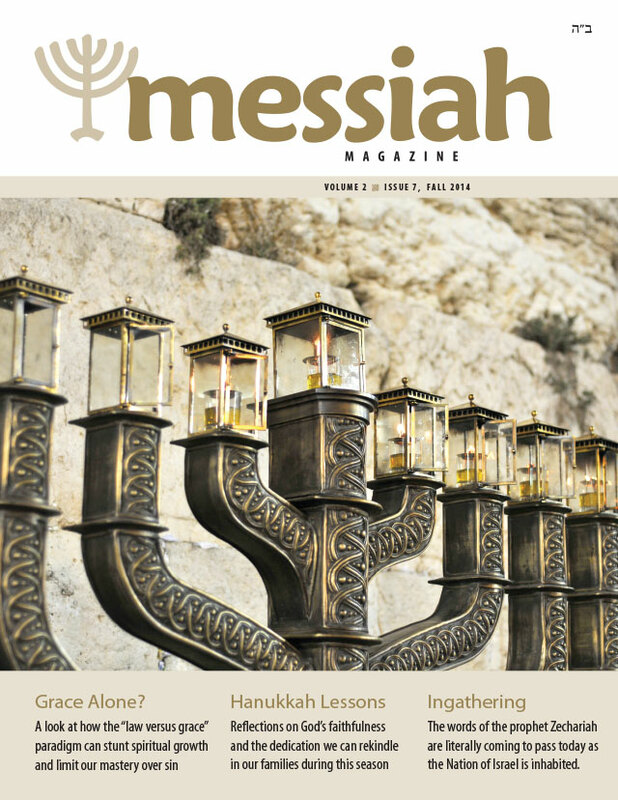 With a Digital Archives subscription you can build a library of all Messiah Magazine issues.